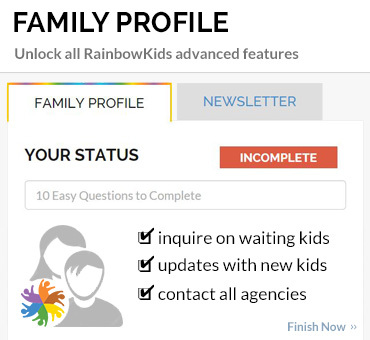 Adopteen is more easily defined by what it isn’t than by what it is. Adopteen is not a cultural camp. It isn’t a group therapy session. It doesn’t help you with your AP Lit homework. It doesn’t help the cute boy or girl in class notice you – or maybe it might. Adopteen was founded by teens, built by adoptees, run by adoptees, for adoptees. It is a reaction to the void of Chinese adoptee role models and community in today’s world. Adopteen is a celebration of the vibrant Chinese adoptee community, where belonging is defined by never having to explain why you belong. When you ask Adopteens what Adopteen means to them, you might get a number of positive descriptors: fun, support, a place where I can be myself. But the one that resonates the loudest amongst everyone? Adopteen is Family. 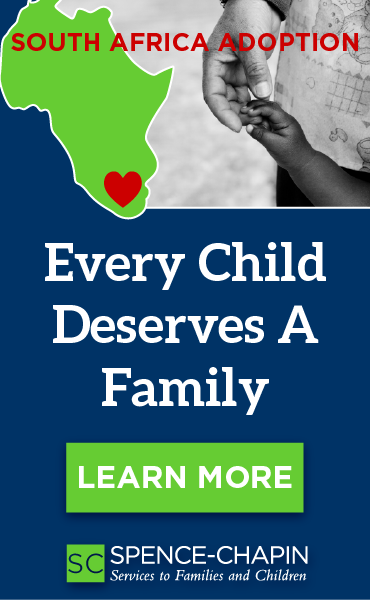 Adopteen is a support network. A community where having fun, building relationships, molding leaders, and sharing in the stories of each others’ lives are the priorities. 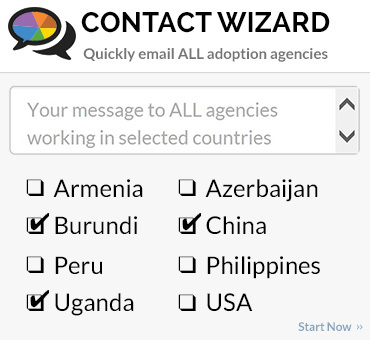 Adopteen understands that we fall outside the standard boxes of ethnic labels. That how you “feel” is not the same thing as what you look like. On the inside, I feel “white” and on the outside, I look…beautiful. The Adopteen community is as unique, colorful, and gifted as the individuals who are proud to call Adopteen home – musicians, athletes, artists, nerds. Adopteen is proud of where we come from and excited about where we’re going. 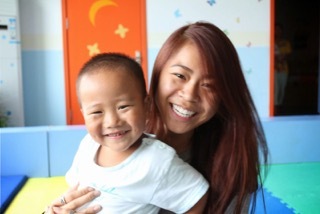 Amy and Art Zhong founded Adopteen in 2007 and coordinated their first Camp-Conference in 2008. They are the children of Lily Nie and Joshua Zhong, founders of the largest Chinese adoption agency in the world, coordinating more than $500,000 dollars in charity orphan outreach every year. 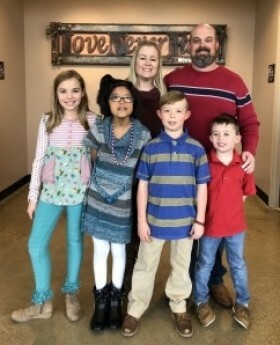 Amy and Art grew up in the CCAI office while their parents spent more time bringing kiddos home to families than raising their own. For some kids, this might have engendered resentment. For Amy and Art, it was a great blessing, a blessing of 10,000 siblings. The old woman and the shoe is real, folks – Except reality is way better. There is no grumpy old lady running the show and there is no giant shoe, but two incredible individuals who have built a bridge of thousands of loving families that spans the two preeminent nations of our time. Unlike other adoption communities in America, the heyday of Chinese adoption was fairly recent. Korean adoption has been prevalent since the 1950s and accordingly, we find rock stars, actors, and politicians who are Korean adoptees in popular culture today. There is no such reference point for the tens of thousands of Chinese adoptees that found their forever families in the early and mid-90’s. In 2007, there was no program to support the burgeoning group of Chinese teen adoptees. No support network. At the time, Amy and Art were 17 and had grown up in adoption. Their lives were saturated with it. Who better to build the foundation for a support network amongst their thousands of brothers and sisters? No one had done it yet. So Adopteen was born. Adopteen coordinates activities and conferences for Chinese adoptees across the United States. Adopteen programs are directly inspired by adoptees to meet the passions and needs of the Adopteen community. Unlike other adoptee camps where the focus might be on being Chinese, or being adopted, Adopteen focuses on being an American teenager, who happens to also be a Chinese adoptee. 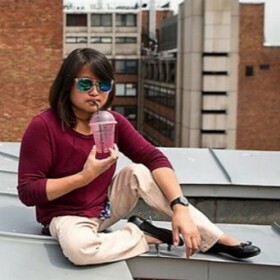 Adopteen strives to create experiences that are relevant and valuable. 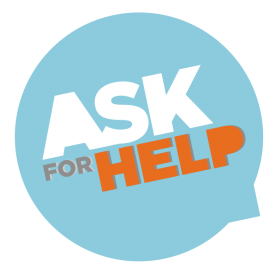 Adopteen is passionate about creating an adult-free space where teenage and young adult adoptees can connect, build relationships, ask questions, and gain confidence in who they are and aspire to be. Workshops are geared toward the Young Adult+Chinese+Adoptee experience – Asian make up techniques for Caucasians, Exploring your adoption through digital/multimedia, Chinese Yoga, Middle School to High School to College transitions, Film analyses, Sports Fitness, and whatever else your teen doesn’t bring up at the dinner table. Discussions and topics are all led and generated by the adoptees themselves and activities and games focus on team building, trust building, confidence building, and having a good time. Adopteen’s marquee event is its annual National Adopteen Camp-Conference, with 100 Adopteens representing, on average, 25 states coming together for a week of friends, fun, and lifelong memories. 2015 will bring two camp-conferences – June 19-23 in Denver, CO and July 28 – August 1 in San Diego, CA. 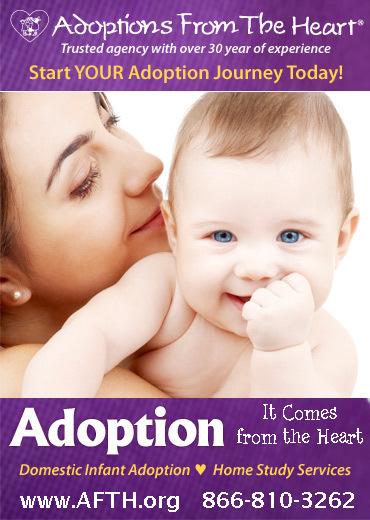 Registration opens February 20th at www.adopteen.org. We can’t wait to meet you. The funny thing is, when you are making history, you know it and you don’t at the same exact time. Like learning. You live your life with open eyes, open ears, a clear mind and an open heart and you look back and you realize you are better today than you ever were before. At Disney World, the tourists flow by; you can pick out the languages: French, Russian, Chinese… When did you learn how to speak Chinese? You didn’t; you just know it’s Chinese. The critics lament, 2014 didn’t give us any blockbusters, no summer hits for the ages. Well, I disagree. 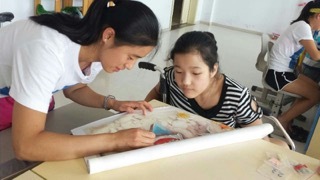 In 2014, groups of Chinese adoptees returned to China and made history with Adopteen’s Adoptees Giving Back Orphanage Service Trip (AGBOST). I know that now. I didn’t know that then. It was a trip that changed the lives of not just the orphans we touched, but the lives of all those who participated. The adoptees wanted to “give back” to a country that didn’t give them a chance. They wanted to make a healing impact on the scar of abandonment. That familiar ache that has blunted itself on their parent’s love over the years that is still a sharp reality for the orphans left behind. “I just want to hold them, teach them love, give them hope,” our teens would earnestly explain. Do you know what hope is? Do you know what love is? Let me show you. Let me give you my love and all the love my family has invested in me. Let me promise you that you are worth it all. For the travelers, it was a journey of first-times, compassionate action, and momentous victory. Together these trips have raised over 152,500 RMB for the children halfway around the world. Handmade jewelry, photography work, college savings, allowance money, and generous donations paid for these trips. For some, the 12-hour flight back to China was the first plane they had been on since coming home in their parents’ arms, a little pile of mashed potatoes. These travelers braved the jet lag, the smells, the crowds, the heat, the stares, the questions, the food… just so they could go on a shopping spree in a faraway land for children they did not know; giving them love with few pieces of shared vocabulary. To live the message that you are important, no matter who you are. The trip itinerary is 12 days, one orphanage, over 100 kids, and the experience of a lifetime. Can you imagine what it’s like to hold a copy of yourself in your arms? Do you know how incredibly momentous that might feel? That’s how the travelers described it…or couldn’t describe it, as the case may be. The AGBOST made that possible. We are addicted now. Registration will open November 2014 and April 2015 for two more service trips in 2015. Adopteen is, in a word, awesome. In more than one word, Adopteen is infectious. It makes you feel positive and good about who you are and where you come from. When I say “positive and good,” I don’t want you to think I ever felt negative and bad about who I am or anything. I just mean Adopteen opens up an entirely different kind of world that you never thought could exist and that’s more exciting the closer you get to it. You get involved just one time, and you can’t help but come back again and again. Adopteen is where I’m not the only Asian in the room. 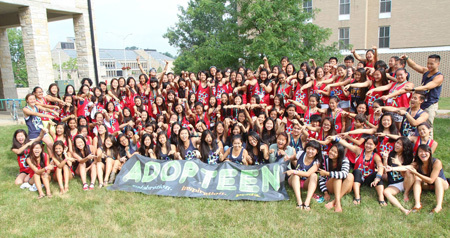 Adopteen is where being Chinese isn’t something that people will use to point me out in a crowd. Adopteen is a place where our similarities unite us and our differences bond us together. Adopteen is a place where I can come face-to-face with the difficulties in my life that my friends at home – who are mostly Caucasian and biologically their parents’ – won’t be able to understand, no matter how hard they try. We are our own people. Adopteen is a community, a kind of special home, no matter how far away you go. Adopteen is the people, the memories, and the lessons. Most important of all, Adopteen is who we are, who I am, right now. It’s my space. Adopteen is the name of a community that I consider my family. And I am always gaining more family members! Adopteen provides an emotionally safe community for adopted teenagers from China to gather and make friends while having loads of fun with people who can easily relate to them. Adopteen can change someone’s life and I think that every adoptee from China should have the chance to explore Adopteen for themselves. Because I know my experience is completely different from anyone else’s, but everyone’s experience is guaranteed to be life-changingly amazing. Adopteen is a life-changer and has had such a positive impact on my life. It creates an environment that allows adopted Chinese kids to feel accepted and be able to express who they really are. By participating in Adopteen, I was able to gain long-term friendships, a better understanding of who I am, and overall happiness. Like, true happiness without having to think all the time. Without Adopteen, I wouldn't be who I am today. I can’t really explain it and maybe that’s the point. I attended the very first Adopteen camp-conference in 2008. I was 14 and came away from Adopteen with a new perspective of myself and the rest of the world. I wouldn’t admit it at the time, but it was like a light was turned on. It is a chance for people to come together despite our differences and appreciate where we come from and who we are. Adopteen gave me the confidence to embrace who I am and to know that other people go through the same experiences, whether good or bad. I’ve met some of my best friends at Adopteen – some of the most important people in my life. 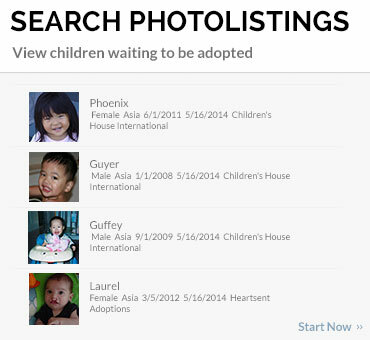 We as an adoption community have so many support programs for young Chinese adoptees – i.e. Chinese cultural schools, Chinese cultural camps, etc. But what about the teens?? What about those of us who are, frankly, sick and tired of learning yet another Chinese dance or character or song that we’re going to forget in two weeks? What you keep from the camp are the lifelong friendships you make – and I promise you that you’ll make them. Some of my best friends back home pale in comparison to some of my Adopteen brothers and sisters. You will have the time of your life, but more importantly you’ll gain lifelong friends and even find a part of yourself you never knew was lost. I did. Adopteen is a place where I can be free. Adopteen is a place where I go and meet people that I feel like I’ve known for centuries. Adopteen is where I don’t have to try to be someone “cool” in order to gain friends and feel noticed. Adopteen is where I become visible to others. Adopteen is a place where I can actually call a second home! Adopteen is me. Author Bio: Art Zhong (24) grew up immersed in the adoption community. Following the lead of his parents, Art has always had a passion for service and orphan outreach. Art founded Adopteen with his twin sister, Amy, in late 2007. 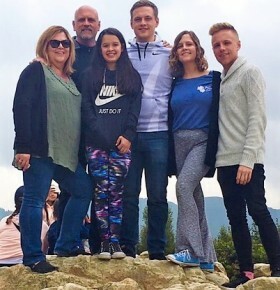 Together they have built a national community of adoptees across the US that has changed the lives of thousands of teen and young adult adoptees. 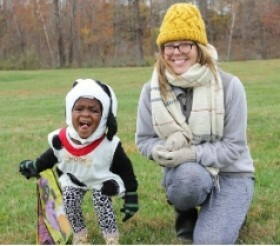 In 2013, Art and his sister started coordinating Adoptees Giving Back orphanage service trips to China and the AdopTween program, reaching even more adoptees around the country. The oldest of three, Art's youngest sister, Anna, was adopted from Beijing Orphanage in 2005 at the age of 9. Art graduated with a business degree from Seattle University, lives in sunny San Diego, CA, and currently resides in Beijing, China pursuing a dual-MBA from Tsinghua University and Massachusetts Institute of Technology. Aside from service and orphan outreach, his passions include music, history, and food.